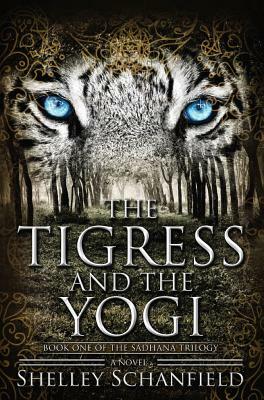 A tigress speaks to the outcaste girl Mala, and as she flees in terror, she stumbles upon an irascible old yogi.She offers him hospitality, though as an untouchable her very shadow may sully the holy man, and he accepts, repaying her kindness with stories that awaken her hunger for forbidden spiritual knowledge. Soon after he leaves, she is orphaned and enslaved, but the Devi, the Great Mother, appears as the warrior goddess Durga and offers her hope. “With its violent, pulsating, and raw sensuality, this story of a heroine from the edges of Buddhist traditions appeals to the senses.… Schanfield’s portrayal of the feminine aspects of the divine is highly potent…Grounded strongly in visceral details, The Tigress and the Yogi…creates a deeply saturated world.” Patty Comeau, Foreword Clarion Reviews, 5 stars.